Download entire webpages for offline viewing. Is there a better alternative to ChopsiteBasic? Is ChopsiteBasic really the best app in Internet Utilities category? Will ChopsiteBasic work good on macOS 10.13.4? 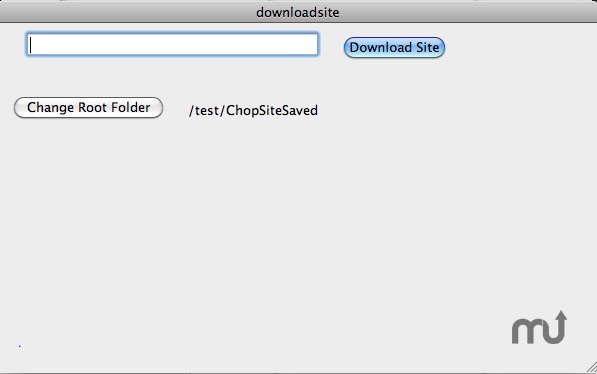 ChopsiteBasic lets you download entire websites easily so you can keep the pages for offline browsing. It adjust the urls in the downloaded website for offline browsing. Just paste your url(site name) of interest in the application, click a button and you can sit back and relax while your website downloads. It's that easy. ChopsiteBasic needs a review. Be the first to review this app and get the discussion started! ChopsiteBasic needs a rating. Be the first to rate this app and get the discussion started!